Dahlan's hit list included Ahmed Abu Nasr, Jamal Kayed, Emad al-Agha and Mamoun Sweidan. After the alleged plot was uncovered, Hamas summoned a number of top Fatah officials in the Gaza Strip and asked them to take precautionary measures to ensure their safety. But the honeymoon between Abbas and Dahlan, a former security commander in the Gaza Strip and an elected member of the Palestinian Legislative Council (PLC), ended several years ago. Now, the sources in the Gaza Strip are claiming that Dahlan was behind a plot to eliminate those loyalists. The claim came after clashes erupted between Dahlan and Abbas supporters in parts of the Gaza Strip in recent weeks. Last week, the Fatah leadership expelled from its ranks nine Dahlan supporters. They were accused of attacking the home of Abdullah Abu Samhadanah, a senior Fatah official and Abbas loyalist. 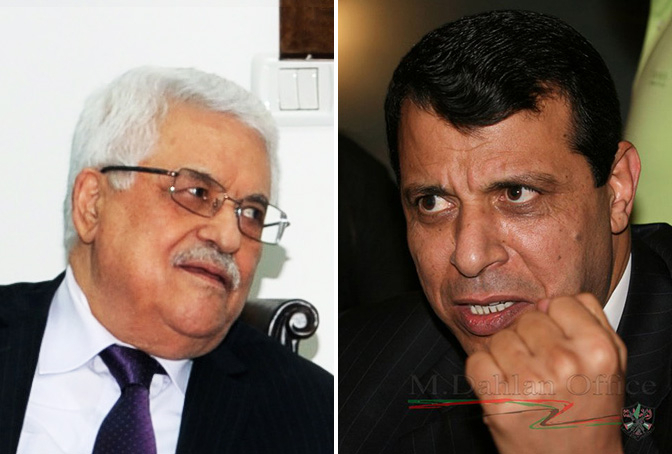 Earlier, loyalists to Abbas and Dahlan were busy hurling chairs and stones at each other. The incident took place at a rally to commemorate slain PLO leader Khalil al-Wazir (Abu Jihad), assassinated by Israeli commandos in Tunisia in 1988. On May 1, another scuffle broke out between the two sides, this time in the Gaza Strip's Jebalya refugee camp. That incident occurred during a rally held on the occasion of International Workers' Day. Hamas claims that Tirawi's alleged plot was uncovered during the interrogation of Marwa al-Masri, a senior Fatah member. 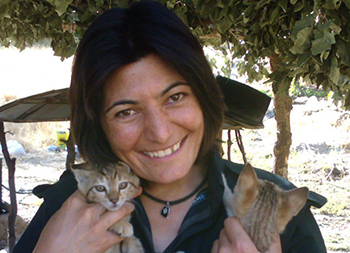 Hamas security forces arrested her as she was about to leave the Gaza Strip for Ramallah. Surely this is a joke. These Palestinians cannot get along with each other, so how are they going to get along with other countries ??? Other Muslim Countries in the Middle East need to stop shipping Palestinians cement and ammunitions to get them ready to get along with the countries of the world. Abbas continues his charade of lies with the international community that he and his Fatah faction are ready for a sovereign state. RE: 135 countries already recognize a Palestinian State some within the the 1949 armistice lines. That is what, many, Muslims do best --- if they are not fighting (and killing) Jews --- their favorite occupation --- they are busy fighting (and killing) each other!!! What else do they have to do with their time? Time is one thing they always had --- plenty of --- since the seventh century, to be exact. As for the innocent Palestinians, in the middle --- it is high time to admit that neither Hamas or Fatah are your friends --- they never were!!! Your ONLY friends, in the Middle East, anyhow, ARE THE JEWS --- they ALWAYS WERE!!! Thank you Khaled Abu Tomeh and Gatestone.